Yá’át’ééh, Ryan Dennison éí yinishyé. Hooghan Łání éí nishłí. Ta’neeszahnii bá shíshchíín. Tsénabiłnii éí da shicheii. Kinyaa’áanii éí da shinálí. Na’nízhoozhídi éí shighan. Hello, my name is Ryan Dennison. I am of the Many Hogan People clan, born for the Tangle People clan. My maternal grandfather is of the Sleep Rock People clan and my paternal grandfather is of the Towering House People clan. 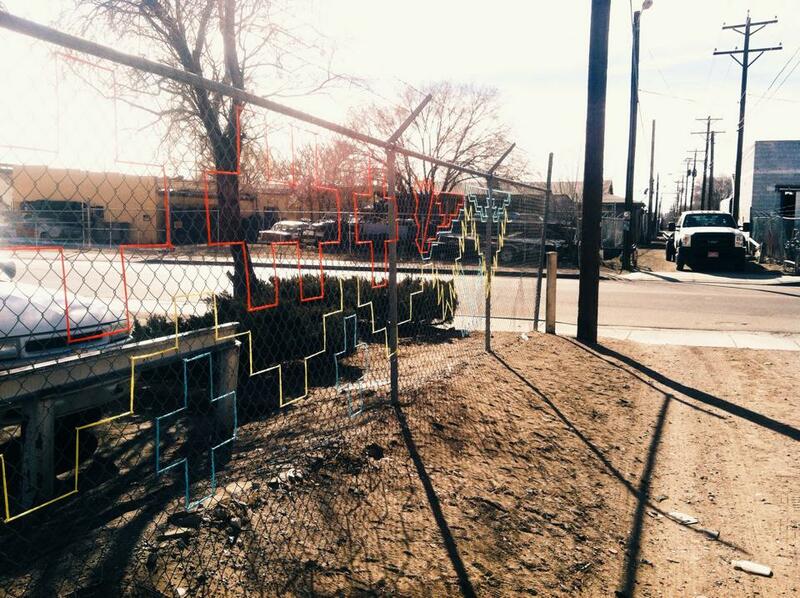 I live in Gallup, New Mexico. I like the relationship building and networking among fellows, no matter how lost or out there I can be in the world I really like when fellows check in and follow up with me. It helps me be grounded and helps me be human. I have this with my family but to take that family model and build it with a peer group, it creates a great space to think outside the box and it’s really great for me. With NYLA’s growth of a second fellow class, having regional fellows here in the Southwest and fellows in the Northwest and South Dakota, I like being able to just know when I travel to those regions I can hit them up. It’s good especially being from the rez and not traveling a lot, it brings such a comfort to know someone, and show how far you’re willing to travel and show your value. WHAT’S YOUR FAVORITE PART ABOUT THE NYLA FELLOWSHIP? My favorite part about NYLA is our shared conscious decision to do better. It’s most helpful to be surrounded by people that want that change and work toward it and work on themselves and for community. It’s helpful to be surrounded by passionate people either directly or indirectly on your path of being a leader. WHAT HAS NYLA SUPPORTED YOU IN? I like the support system, the work on healing, the work on myself, and community/family members; it creates tangible change in our community. Our passion can make our communities healthier – even though we work in different fields our passions keep us connected and stronger. 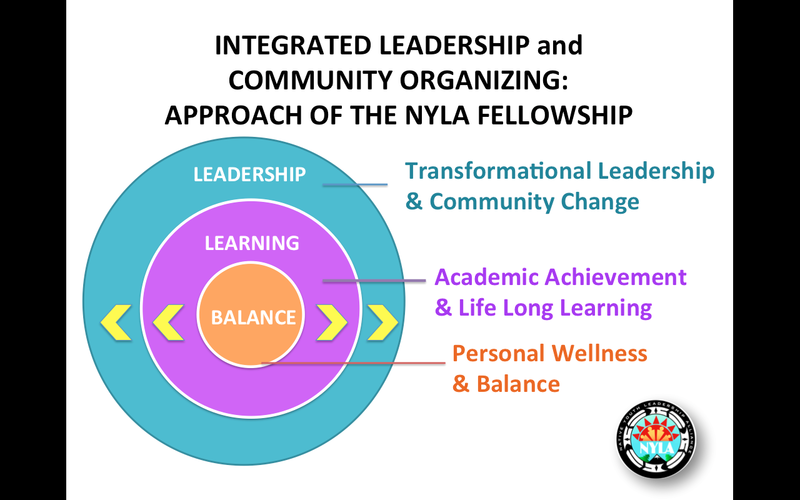 NYLA has supported me in my goals, connecting me to conferences, trainings; helping to build my experiential knowledge and be a better person in my community, helping me be a leader. Through NYLA I have been introduced to different perspectives and experiences; traveling from the rez to the city, meeting new people and learning how to keep in touch with these new folks, and seeing the bigger picture of networking; it does become tangible change. I h ave become more conscious and aware of myself and seeing an awareness of interconnectedness. It transcends to taking care of your self-health. The NYLA circle model has many correlations to our teachings. I am pretty sure it’s built that way, parallel to how Navajos think; it’s instilled into us that we have to keep this balance in life, recognize good and bad, it’s just nature, to live with nature to be balanced with family and community. It’s a culturally relevant organizing and leadership model, it’s not about how to survive in a tech world it’s how to thrive in a modern world based on traditional values, after surviving then thrive and adapt; what do our songs look like and prayers look like the future? NYLA mentors are concerned not only about your physical health but how you take care of your mind and how you’re going to continue your higher education. Higher education is not really stressed upon us where I live, it’s not really iterated to go to college, most people in the community I am from, we’re in a mindset of surviving, we don’t have time to think about 10 years down the road and if are we going to have that degree? Through NYLA I am exposed to how other fellows live, in how they survive and thrive. Native Youth Leadership Alliance shared a post. #NativeAthlete #SacFox #Olympian #GOATHappy Jim Thorpe Day! In 1973, President Richard Nixon proclaimed April 16th "Jim Thorpe Day" in recognition of his accomplishments. Thorpe (1887-1953) was Sac & Fox. He won Gold Medals for the Pentathlon and Decathlon at the 1912 Olympics in Stockholm. He is considered "The Greatest Athlete of the Twentieth Century."